A new sparkling flavoured water brand has been launched for health conscious consumers looking for full on flavour, without the calories! 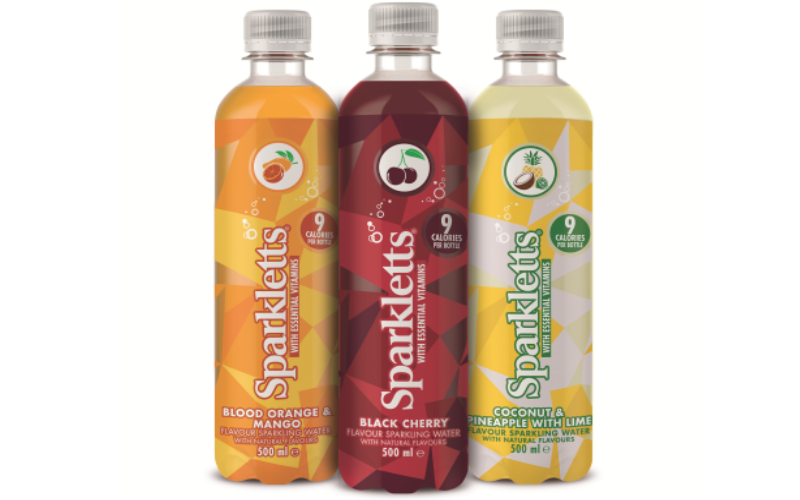 Sparkletts, which is available now, is a refreshing, tasty, no added sugar sparkling flavoured water with essential vitamins. Available in three bold flavours – Coconut & Pineapple with Lime, Black Cherry, and Blood Orange & Mango, with each bottle containing only 9 calories. In addition to its low calorie count, each bottle contains 40% of a person’s recommended daily intake of vitamins D, B3, B5, B6 & B12.